In 2003 the provisions of the Fair and Accurate Credit Transactions Act (FACTA) brought about an amendment to the Fair Credit Reporting Act (FCRA.) This entitles you to one free credit report every 12 months from each of the credit bureaus; Equifax, TransUnion, and Experian. It was put in place to help consumers monitor their credit and help protect themselves against identity theft. 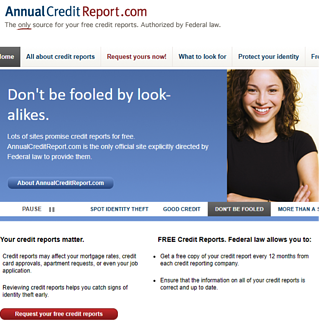 The credit bureaus have partnered up and created the website www.AnnualCreditReport.com to assist consumers in obtaining their reports. This is the ONLY website authorized to do so under federal law. When you visit the website, you'll see a red button that says, "Request your free credit reports." Click on the red button and follow the instructions about how to easily obtain your reports at no charge. The form requires you to submit personal information like your address, full legal name, and social security number. They may also ask you to answer additional security questions to verify your identity. If you prefer to request your free credit reports by phone, call 1-877-322-8228. You'll go through the verification process over the phone and receive your credit reports by US Mail within 15 days. Alternatively, you can download the request form, print it, fill it out by hand, and mail it to Annual Credit Report Request Service, P.O. Box 105281, Atlanta, Georgia, 30348-5281. The website also provides a means by which to obtain credit reports in special situations. If you need a credit report in large print, audio format, or Braille, you can request it, here. You can also request a credit report as a legal guardian, get information on requesting a credit report for a child under the age of 13, and get a credit report for a minor. After you’ve received a copy of your credit report from each of the three consumer credit reporting agencies, you can still request additional reports. 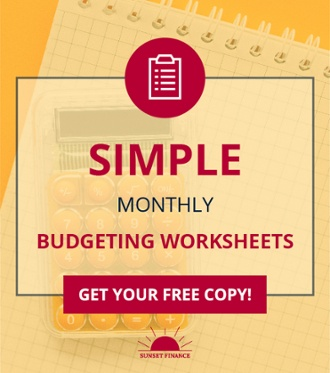 The law states that each company can charge no more than $12 for a single additional report. According to the Federal Trade Commission (FTC,) “your credit report has information that affects whether you can get a loan — and how much you will have to pay to borrow money.” Having access to your credit report allows you to monitor if your information is accurate and up to date. This is important especially if you are planning on making a major purchase, such as a house or a vehicle, or possibly even applying for a job. It can also help you guard against identity theft by letting you review the report for accuracy. While the information on each report from the three bureaus will be similar, they will all differ slightly because they get some of their information from different sources. It’s really up to the individual when to request a report. If you want to compare all three, you can request them at the same time. Others suggest staggering the reports to help you discover possible inaccuracies. Another reason to stagger the reports a few months apart is if you are trying to improve your credit. That way you can see if any changes or good habits you’re following are having a positive effect on your credit. Remember, knowledge is power. Being aware of your credit and its accuracy are important. The FTC provides additional information regarding this topic here. For more great information on all things credit-related, head to our 'Basics of Credit' reference page.